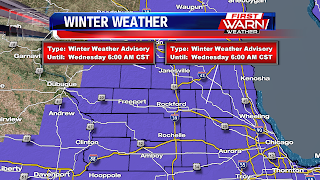 A Winter Weather Advisory has been issued for all of northern Illinois and southern Wisconsin beginning Tuesday late afternoon and evening, lasting through early Wednesday morning. Skies will start off partly cloudy Tuesday morning before clouds increase early Tuesday afternoon. Southerly winds just off the surface will push temperatures above freezing during the afternoon and evening, but temperatures near the surface will remain below freezing. 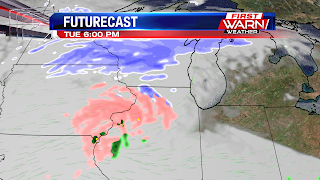 A mixture of sleet, snow and freezing rain will be possible as the precipitation begins to move in, most likely after 5pm, with snow and sleet closer to the Wisconsin/Illinois border. A mixture of sleet and freezing rain will be likely to the south. 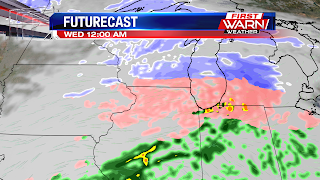 A transition over to mostly freezing rain will occur after 9pm/10pm Tuesday evening, lasting into early Wednesday morning. Ice accumulations up to a tenth of an inch will be possible, especially along the Highway 20 corridor, with amounts between a tenth and two tenths of an inch near I-90 and I-88. 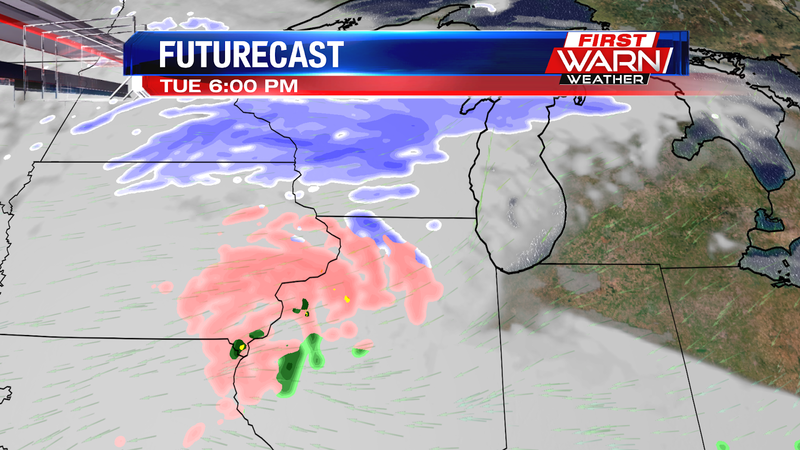 Further north accumulating ice should be less as a little more sleet and snow could mix in. Impacts to travel will almost be certain late Tuesday evening and early Wednesday morning, especially if ice accumulates close to a tenth of an inch or more. Plan for slick travel during Wednesday morning and if possible, you may want to avoid travel until the precipitation comes to an end. 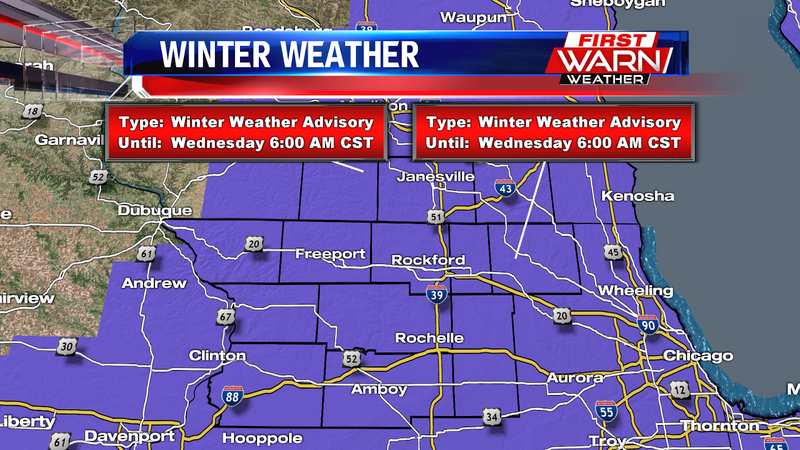 Most of the wintry weather should be done around sunrise. Another low pressure system will move in from the southwest late in the day Wednesday, bringing the potential for another round of wintry precipitation - freezing rain included - Wednesday night and Thursday morning.